How did a Roman brick from the British Isles get to Washington state's Fort Vancouver? At some moment a few years after Jesus Christ died but before the second century began, someone made a brick on the island that would become the cornerstone of Great Britain. 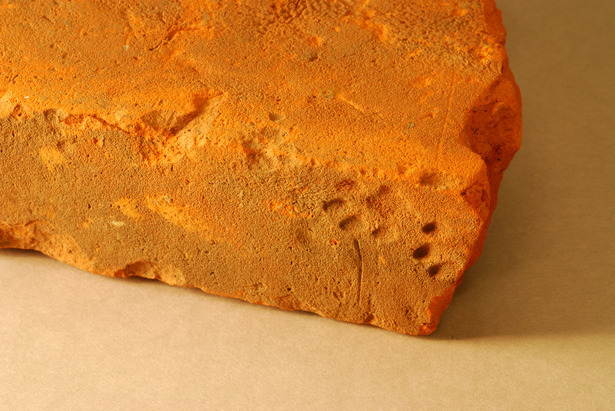 The area was controlled by Rome then, and known as Britannia and as the brick lay green, awaiting the kiln, a cat walked across the wet clay and left its footprints before wandering off to do something else. The clay was fired, the prints fixed, and the brick itself presumably became a piece of a building or road. Two thousand years later, a Sonoma State master's student named Kristin Converse was poking around the holdings of the Fort Vancouver National Historic Site in Washington state. She was writing her thesis on the business and technology of brickmaking in Portlandia (known more formally as the Willamette Valley). A brick caught her eye. It was part of an odd group that was not of local origin. In one corner, there were the footprints of a cat. Where had this cat lived? Back in 1982, the bricks in question had been examined by an archaeologist named Karl Gurcke who specializes in the identification of bricks. "The only bricks that come near to matching this type in size are the so-called 'Roman' bricks," Gurcke wrote in a report on excavations at Fort Vancouver. This suggested that the "type may indeed be Roman in origin," and that they were "shipped over from England." 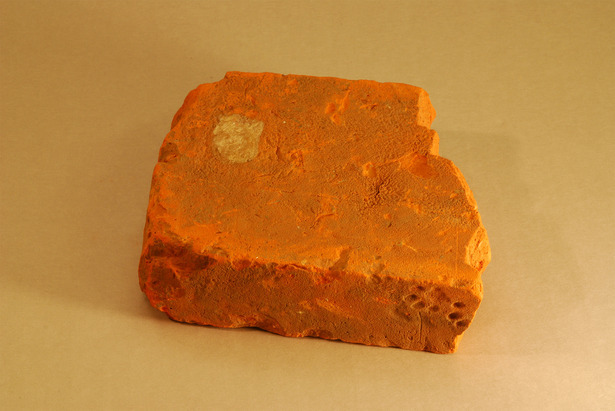 Converse tested the presumed Roman bricks, using a process called neutron activation analysis, which allows scientists to determine the elemental components of a material. Bricks made from different clays and at different times show particular chemical signatures, so she could compare bricks from the Fort to bricks from Endland. "They tested very well like Roman bricks from England," Bob Cromwell, an archaeologist at Fort Vancouver told me. "It is still a hypothesis, but the data is all pointing in that direction: the size and the elemental analysis compares very favorably with definitive Roman bricks." The question became, then, how did a Roman brick from the British Isles get to Fort Vancouver? The answer: the mercantile empire of the Hudson's Bay Company, a commercial entity substantially older than the United States, having been incorporated in 1670. The Company controlled the entire Pacific Northwest under a local company official known as the Chief Factor. Although after 1818, the region was nominally under the shared control of the U.S. and Britain, the only real western power was the Hudson's Bay Company, and the only real resources it could draw on came from its global network of trading ships and outposts. Fort Vancouver was the seat of the Company's west coast operations. It was established in the winter of 1824-1825 on the banks of the Columbia River, a few miles north of what would become Portland, Oregon. With the Willamette and the Columbia right there, it was like setting up shop at the intersection of two major highways. But despite the great location and abundant resources of the region, they didn't actually have the equipment or know-how to do a lot of things. While there were roughly 25 Native American tribes in the region, there were not any brickmakers among them, which meant there weren't any bricks. So, the Hudson's Bay Company, which ran the Fort, had to order them from a world away. "You can certainly bring over brickmakers to look at the local lays and the Columbia River silts are great for making common brick. But at the time, when they are out there establishing their post, if they want some brick for their chimney, there just isn't any," Gurcke said, when I reached him at his job with the Park Service in Skagway, Alaska. "So they ship them from, in this case, England. We do have some records of them shipping bricks very early from England." It often took two years for the bricks to reach the Fort, which is one reason that many brickmakers sprung up in later decades. Converse, in fact, found several spots in the Willamette Valley that could have provided bricks to Fort Vancouver in later decades as settlers arriving via the Oregon Trail figured out that the little city was a good market. But those are hard stories to tell, as Converse discovered, because the early brickyards have long since been built over with houses and TGIFriday's. She can prove that many bricks at Fort Vancouver were made from Willamette Valley clay, but it's hard to say more. It's almost easier to tell the global story than it is to tell the local one because the strangeness of the material can be pinpointed more easily. For example, the mortars that were used to cement bricks together were made from Hawaiian corals. "They had a trading station at Oahu, harvesting coral, and shipping it here," Cromwell said. "We have bricks with this coral mortar still adhering to it. They would break up the coral, mix it with sand and water and you'd have an instant mortar." And none of this is to mention "the Village," which sprung up outside the Fort and housed up to 600 people from all over the world including "English, French-Canadian, Scottish, Irish, Hawaiian, Iroquois, and people from over 30 different regional Native American groups." They learned to speak Chinook Jargon, a mixture of Chinook, English, and French. Every once in a while, Cromwell told me, people from other European nations would show up, too, or a few Japanese sailors would come by after having been shipwrecked. So to make a lowly chimney in some house in the employee village near the Fort, you might have Roman bricks, mortared together with Hawaiian coral, and built with the labor of a Portuguese worker or an Iroquois visitor. Globalization! And it was the middle of the 19th century: Mark Twain was still a child. What's fascinating, too, is that this story can be told with an almost unthinkably mundane object, the common brick, which turns out to be uncommon if you look hard enough. "At a glance, bricks appear all alike, yet upon examination, they can exhibit a frustrating degree of variation. Unbranded bricks in particular provide an unsatisfying ratio of information gained to curation space occupied, and many excavated bricks went unrecorded, uncollected, and even discarded," Converse notes in her master's thesis, with just a note of despair. "Yet bricks have a story to tell if we can coax it from them, and contain potential information regarding the development of industry, trade networks, construction techniques, resource utilization, and even attitudes and status." And sometimes, they tell you a story about a mischievous cat whose imprint traveled all the way around the world, then ended up in a museum. Which I learned about because Cara Tramontano tweeted it after words started going around about another cat who left his imprint on a southeastern European scribe's work from March 11, 1445. Where, exactly, do the epistemology books cover this sort of thing? I'm sure I'll find out soon, after a cat walks across someone's keyboard and accidentally tweets me a link to a letter by a philosopher who will turn out to be my mother's cousin's best friend, and the world expert on serendipity in Jacksonian America.